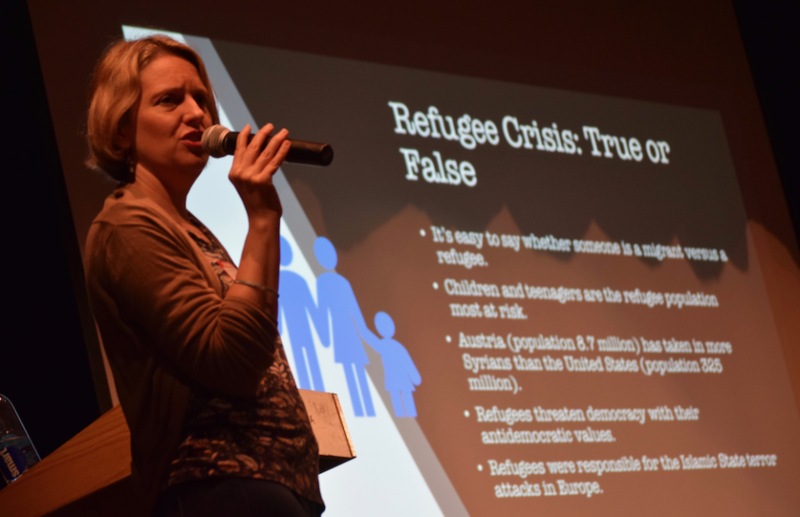 Author Katherine Marsh spoke to Tappan Middle School students today about the impetus for her book, “Nowhere Boy” and her family’s experience living in Belgium and seeing the recent refugee crisis up close. 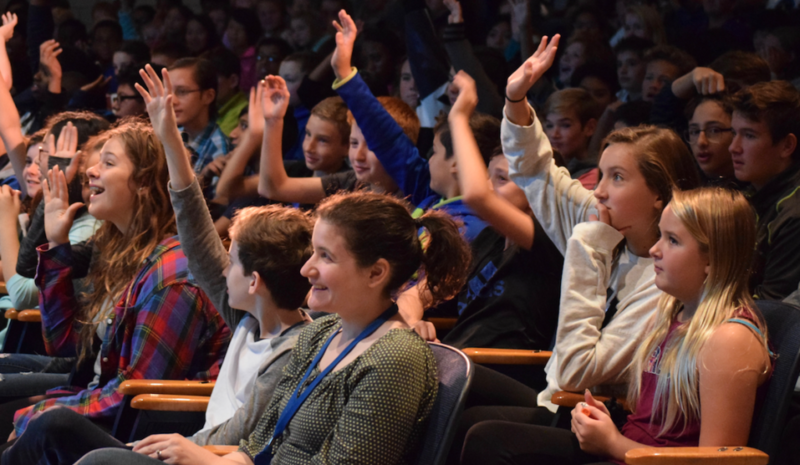 The Literati bookstore sponsored the event at no charge to the district. 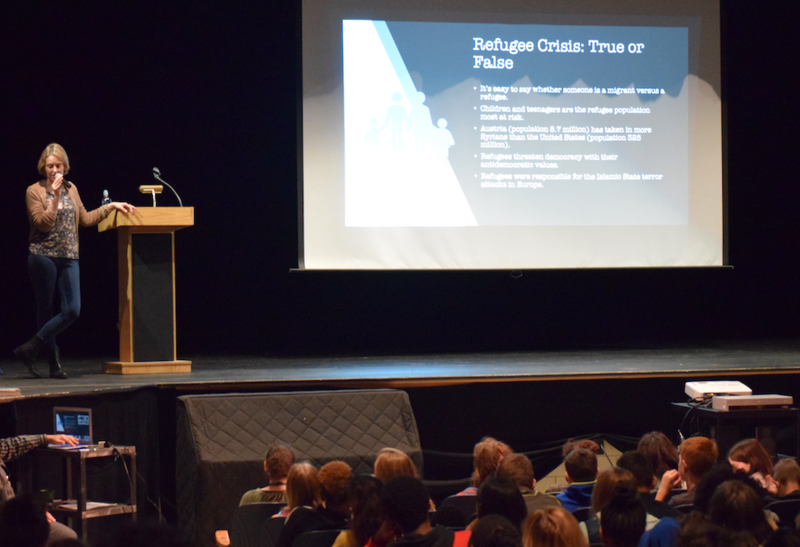 Tappan librarian Kyle Kipp said it was an excellent opportunity for students to learn about the book, what it is like being an author and going about the creative writing process, and current international events such as the Syrian refugee crisis.